We got a little bit of teaser rain weather last week and I loved every minute of it. (Now it’s back to 75 degrees!) 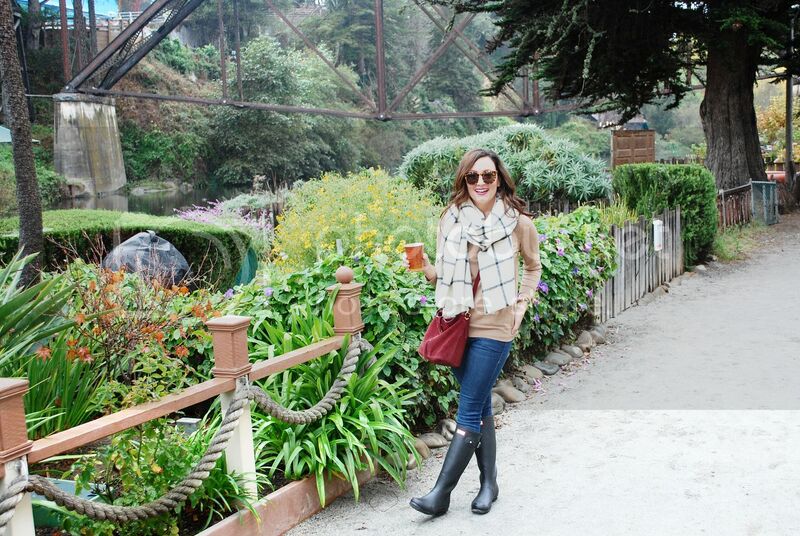 There’s just something about being bundled up in big blanket scarves and comfy sweaters all while romping around in my favorite Hunter rain boots. 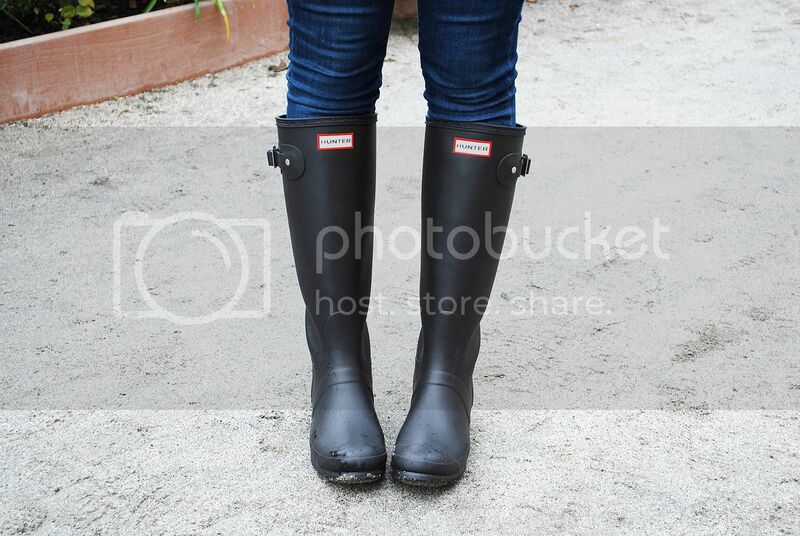 Seriously though, if you don’t own a pair of these rain boots, put them on your Christmas list. I’ve had these black ones for 3 years now and they are just as comfortable and on trend as they were when I first bought them. 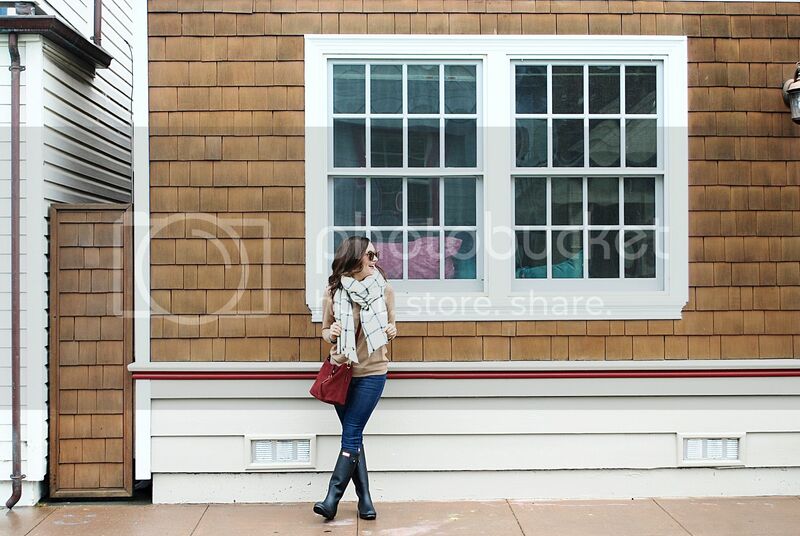 They come in a variety of colors and patterns, including these adorable floral ones and these gorgeous burgundy ones. So many options, you can’t go wrong. 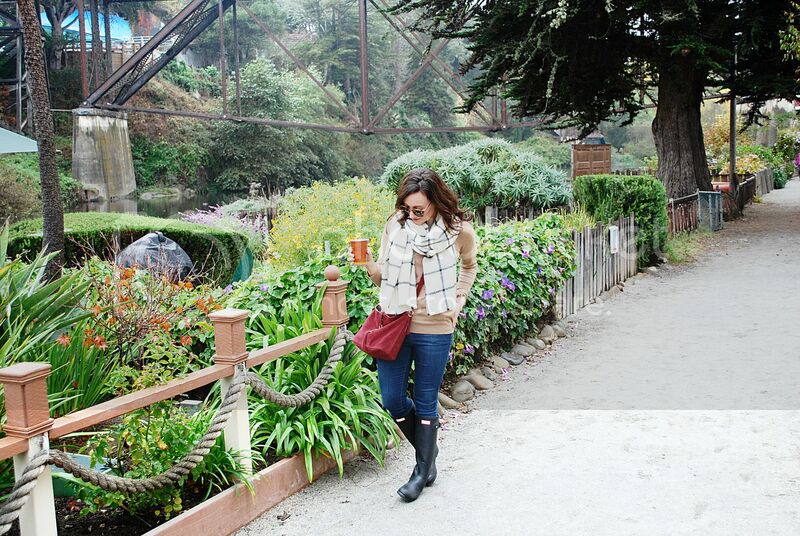 Plaid blanket scarves have been in the last couple of years and the trend isn’t going anywhere. 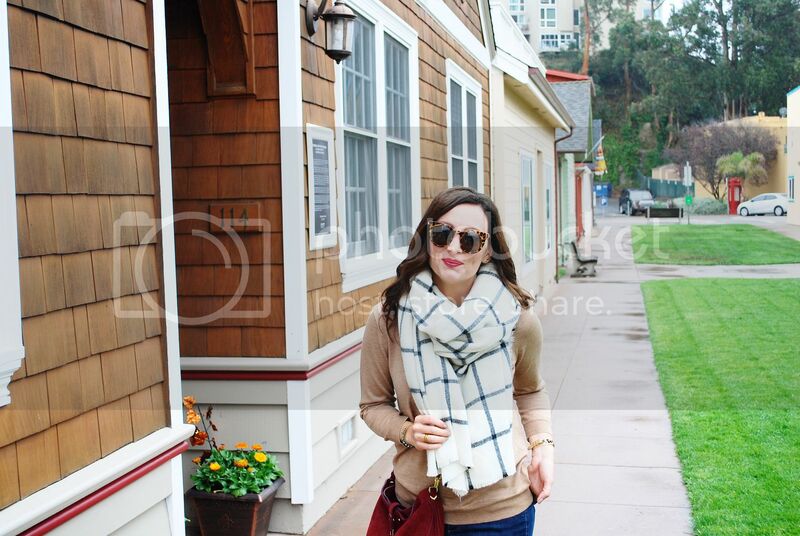 I love dressing up a simple sweater with a fun scarf. I’m going to be honest, I have this sweater in SO many colors. 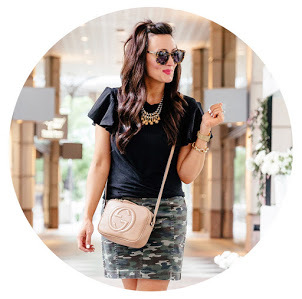 It’s the perfect fit, so flattering and is a great staple piece for any wardrobe. 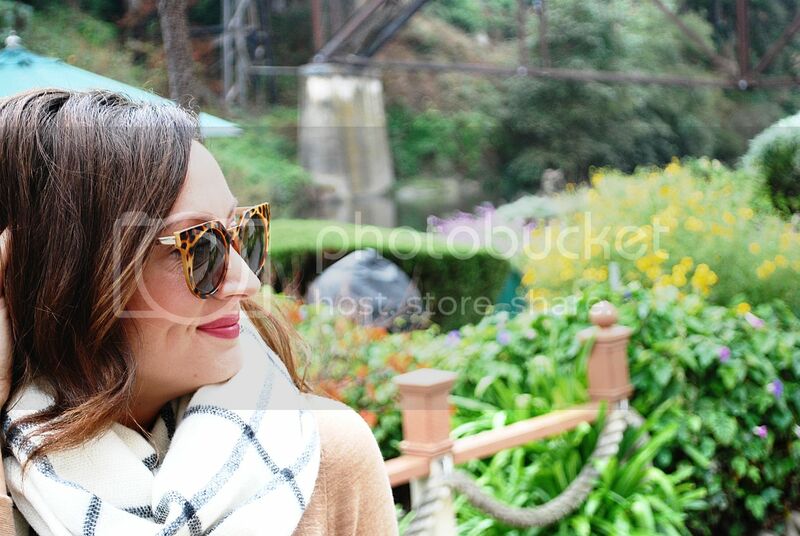 It’s a great base piece to accessorize with a blanket scarf (like this one), a winter vest (like this one) or a big statement piece necklace (like this one). 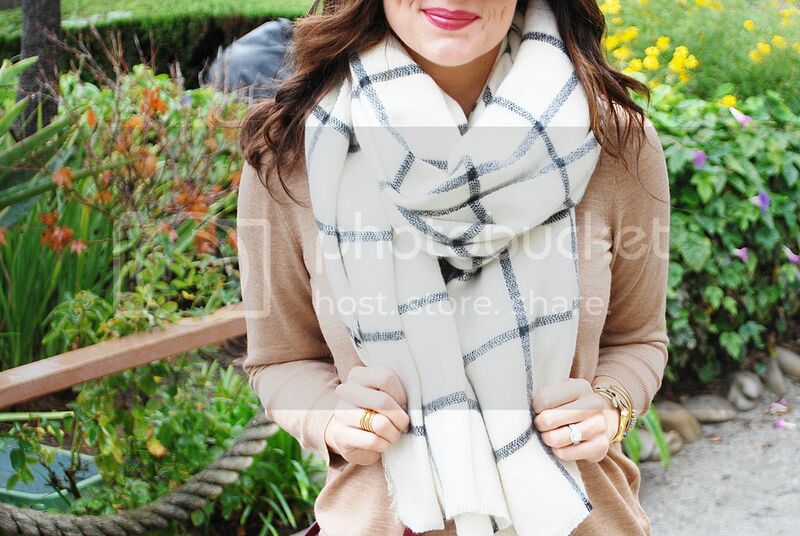 I’m also loving these other blanket scarf options here & here. 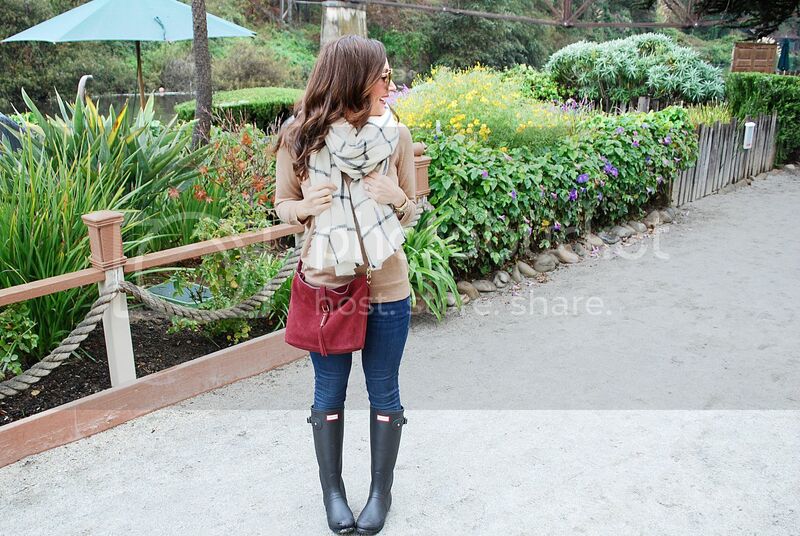 How gorgeous is this bag from Stella & Dot’s new Covet collection?! 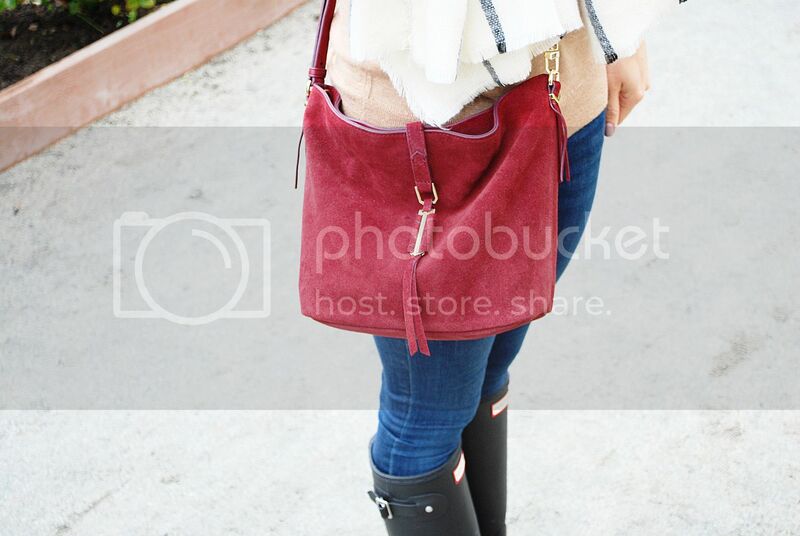 Genuine Italian suede and OH so gorgeous in person. 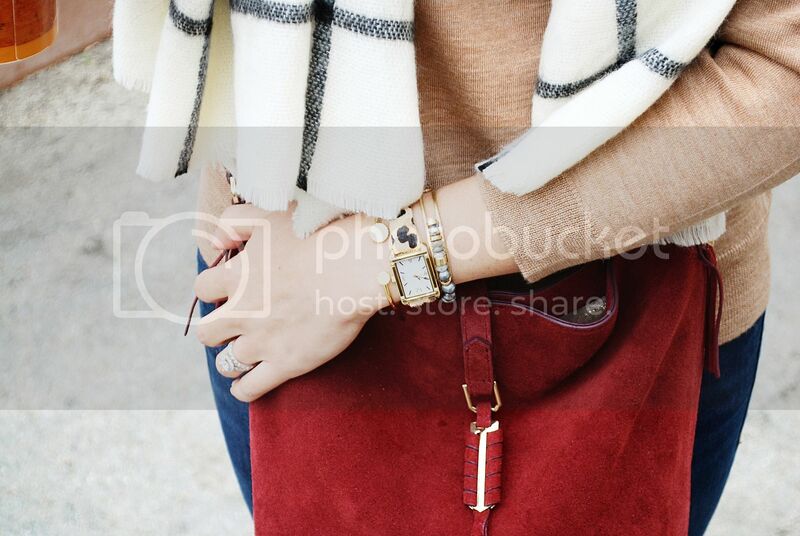 Such a luxury bag and the perfect fall shade of burgundy. 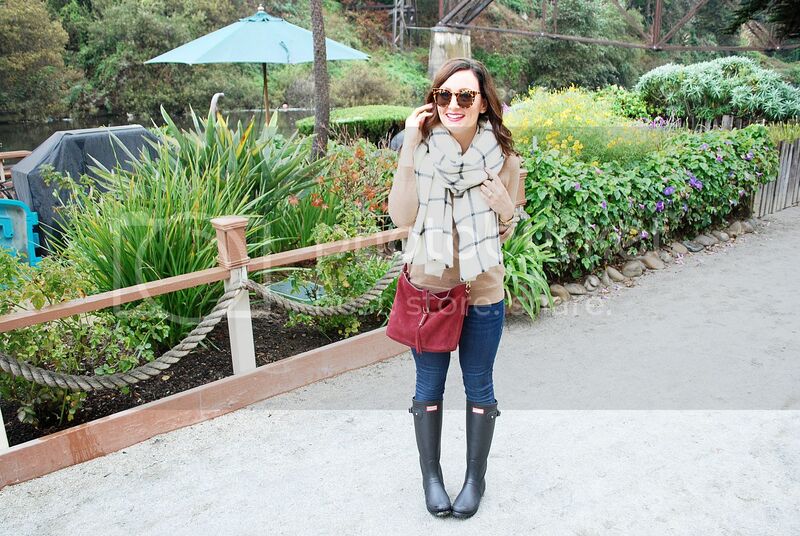 Who doesn’t love big blanket scarves and rain boots? !